This article is about the company. For the album by the Charlie Haden Liberation Music Orchestra, see Time/Life. Direct Holdings Global LLC, through its subsidiaries StarVista Live, Lifestyle Products Group and Time Life, is a creator and direct marketer that is known for selling books, music, video/DVD, and multimedia products. The current focus of the company is music, video and entertainment experiences (such as cruises) as the book division closed in 2003. Its products have been sold throughout North America, Europe, Australia, and Asia through television, print, retail, the Internet, telemarketing, and direct sales. Current operations are focused in the US and Canada with limited retail distribution overseas. Time Life was founded in 1961 as the book division of Time Inc. It took its name from Time Inc.'s cornerstone magazines, Time and Life, but remained independent of both. Starting in 1967, Time Life combined its book offerings with music collections (two to five records) and packaged them as a sturdy box set. Throughout the 1970s and 1980s, the selection of books, music and videos grew and was diversified into more genres. When record labels were no longer producing vinyl albums in 1990, Time Life transitioned to CD. In the mid-1990s, Time Life acquired Heartland Music, with the Heartland Music label now appearing as a brand. This company was subsequently sold off and is no longer associated with Time Life. At the end of 2003 Time Life was acquired by Ripplewood Holdings L.L.C. and ZelnickMedia Corporation to become part of Direct Holdings Worldwide L.L.C. Direct Holdings Americas Inc. operates as a leader in the sale of music and video products under the Time Life brand. 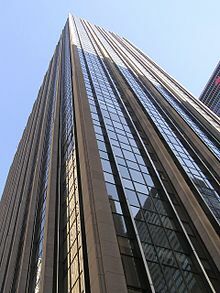 Since 2003, Direct Holdings US Corp is the legal name of Time Life, and is no longer owned by its former parent Time Warner, later Time Inc. in June 9, 2014. In March 2007 Ripplewood led a group that took The Reader's Digest Association private and treated Time Life as a division of RDA. By 2003 onward, a disclaimer on the copyright stated that it is "not affiliated with Time Warner Inc. or Time Inc.," who owns the Time and Life magazines, which this company name came from. In 2013 Reader's Digest Association sold Time Life to Mosaic Media Investment Partners. The Time Life company was founded by Time, Incorporated, in 1961, as a book marketing division. Its name is derived from Time and Life magazines, two of the most popular magazines of the era, both owned by the company. It also was the holding company of television and radio combo stations KLZ-TV-AM-FM in Denver, WFBM-TV-AM-FM in Indianapolis, WOOD-TV-AM in Grand Rapids, Michigan, KERO-TV in Bakersfield, California, and KOGO-TV-AM-FM in San Diego, many of which were sold to McGraw-Hill in 1972; however, Time Life kept WOOD-TV, which became WOTV after the sale of the other stations, and remained owned by the company until 1984. Time Life was based in the Time Life building in Rockefeller Center. Yet, of some series it is known that a particular title in the series enjoyed a much smaller print run than the other volumes in the series, resulting the after-market value of that particular volume and/or the set as a whole increasing. Examples include the fourteen volume "40th Anniversary Edition" The Civil War: A Narrative and the 18-volume Voices of the Civil War series, where the volumes "Petersburg Siege to Bentonville" and "Shenandoah 1864" are the rarer ones respectively. Nonspecific U.S. topic series were habitually translated into other languages (French being the most predominant, due to Time Life's desire to have bordering French-Canada served as well), and disseminated through local branches of Time-Life Books in the intended target markets. However, not rarely were these translated versions truncated for various reasons. The Dutch language versions—disseminated through Time-Life Books [International] BV, Amsterdam, the local branch for mainland Europe at the time located at Ottho Heldringstraat 5, 1066 AZ Amsterdam, Netherlands—of History of the World (as "Time Life Wereld Geschiedenis"), The Epic of Flight (as "De Geschiedenis van de Luchtvaart") and The Enchanted World (as "Het Rijk der Fabelen"), for example, were shy of four, seven, and nine volumes respectively in translation, whereas the German-language version of The Old West (as "Der Wilde Westen," and, even though American specific, translated nonetheless due to the continued popularity of the Western genre in Germany), disseminated through the Amsterdam branch as Time-Life Bücher, was shy of seven volumes. Of at least one book series is known that it was initiated by a local branch and not by the American mother company; the 1986–89 book series Australians at War was initiated by Time-Life Books Australia for that country, and therefore relatively rare on American soil. Time Life no longer publishes books, as its book division was closed in 2001. Time Inc./Time Warner, however, continues to publish similar material through Time Home Entertainment Inc.
Time Life added music in 1967, selling box sets and collections through Time–Life Records. During the 1960s and 1970s, the collections released by Time–Life Records catered to a conservative adult audience, with genres including classical, jazz, swing and orchestral music; and the music of operas and Broadway theatre. On occasion, Time Life offered popular music (generally pre-1955 music, as opposed to pop and rock music airing on contemporary hit radio stations in the United States at the time) in box sets. Although there were television advertisements, Time Life advertised most of these sets in magazines, specialty catalogs and direct mail. In the early 1980s, Time Life began branching out, offering a series of albums focusing on country music. The first series was 1981's "Country Music," with volumes focusing on a particular artist and featuring eight or nine tracks per album. Twenty volumes were issued, with many of country's greatest artists of the time (Charley Pride was the first artist featured) getting their own album. But until the mid-1980s, Time–Life did not feature a rock music-intensive series for customers, preferring to cater to older adults with conservative music tastes. Time Life's first successful foray into rock music came in 1986, with a series called "The Rock 'n' Roll Era." Each volume in that series—like similar series that followed—focused on a particular year (in this case, 1955 through 1964—the early, pre-Beatles years of rock music), a stylistic trend or particular artist influential in rock music. Each volume had 22 tracks, and was said to contain the original hit recording by the original artist (although this wasn't always true on early pressings of the early albums in the series). The songs themselves represented the most important and popular songs from the period or subject featured. An essay published by Both Sides Now Publications noted that Time-Life's move into rock music came at a time when much of the adult audience Time-Life catered to grew up during the rock-and-roll era and, as such, the new series was consistent with its goal of catering to an adult audience. "The Rock 'n' Roll Era" series was a big success, and by the time the final volume was issued in the early 1990s, more than 50 different volumes (including two Christmas albums) had been released. This paved the way for more country and pop music-intensive series, including "Country USA," "Classic Rock," "Sounds of the Seventies," "Sounds of the Eighties," "Your Hit Parade" (a series featuring popular music of the 1940s through early 1960s) and "Super Hits." Like the earlier series, each volume issued had its own paperback booklet containing liner notes and information about the songs, with the addition of placement on various Billboard magazine charts. Like the earlier box sets featuring other musical styles and genres, the country and pop music series were advertised in magazines, catalogs and direct mail. By this time, some of these collections were advertised on television: either commercials or 30-minute infomercials. The television advertisements used slogans (e.g., "Relive your high school days ..."), clips of songs included in each volume (along with a scrolling list of other titles), a commercial spokesman (usually a performer or legendary disc jockey relevant to a given series, such as Rick Dees for a 1970s-intensive collection and Ralph Emery for a country music series) and testimonials from customers attesting to the quality and value of the albums, to pitch a given series. Key selling points of these collections are that each track was digitally transferred to the desired format using the original master recordings, as opposed to being "re-records"; and that the most popular and requested songs by customers could be found in a single collection (as opposed to a customer having to purchase many albums to obtain just a few desired tracks). Customers were given a choice of which format they wanted their box set: either vinyl albums (through 1990), 8-track or cassette tape, or compact disc; today's box sets are offered only as compact discs. While most of Time Life's box sets and releases were critically hailed, there were also some minor faults pointed out by critics. For instance, several early pressings of the early volumes in "The Rock'n'Roll Era" series contained stereo re-recordings of the original hits (something that would be corrected on later pressings, either with the correct original recording or a replacement track). Sometimes, the most popular songs of a given time period were omitted, frequently due to licensing issues. Examples included The Beatles and The Rolling Stones for the Classic Rock and "Super Hits"/"AM Gold" series; and Prince, Madonna, Whitney Houston and Michael Jackson on the main Sounds of the Eighties series. Through 2010, several different series Time Life had offered were available on a subscription basis, either by calling a 1-800 number or sending a completed postcard-sized card and payment to Time–Life. Purportedly, the customer would get a specific volume (as advertised on TV or in a magazine) first, before receiving a new volume roughly every other month (on the format of their choice); customers and had the option of keeping just the volumes they wanted. In time, each volume was also offered for individual sale. Several of the series – especially the pop, rock, country and rhythm and blues series – had retail versions for sale, released after the entire series was issued. Typically, these were sold at discount stores, often grouped in three-CD sets of 12 tracks each and having the most popular of the series' tracks, and cover artwork and naming loosely based off the subscription/catalog-exclusive titles. Additionally, the "Classic Country" series had special 15-track single-CD versions of several of its volumes issued for retail sale (in addition to budget 3-CD sets). In 2008 Time Life launched Saguaro Roads Records as an in-house music recording label. Under this label, albums have been released with Adam Hood, Blind Boys of Alabama, Bo Bice, Brandy and Ray J, Collin Raye, Dion, Edwin McCain, Hank Williams (estate), Jim Brickman, Joan Osborne, Lonestar, Marc Cohn, Mark Chesnutt, Patty Loveless, Rebecca Lynn Howard, Tanya Tucker, The Grascals, Angie Stone, Waylon Jennings and Don McLean. Since its launch Saguaro Roads Records has had seven Grammy nominations. Notable releases include Patty Loveless's Mountain Soul II which one a Grammy for best Bluegrass Album in 2010, Hank Williams: The Complete Mother's Best Recordings which was nominated for a Grammy in the Best Historical Album category in 2010, Joan Osborne's Bring it on Home which was nominated for Best Soul album in 2012, The Beatles' "First Recordings: 50th Anniversary Edition" which was nominated for Best Album Notes in 2012, and The Blind Boys of Alabama's Down in New Orleans which won a grammy for Best Traditional Gospel Album. The following list shows many of the collections the company has released, but is by no means exhaustive. ^ "RDA Sells Its Direct To Consumer Business - Folio:". 2 July 2012. ^ a b c d e f g h i j k l m n o p q r s t u v w x y z aa ab ac ad From a list of "Other Publications" on the copyright page of "The Commandos," the final volume of the Time-Life Books Series "World War II"
^ "World War II Time-Life —Series—LibraryThing". www.librarything.com. ^ Hatch, Denny. "The Rise and Fall of Time Life Books (2,310 words)". Target Marketing. Retrieved 2019-04-02. ^ "Time-Life Music Story". www.bsnpubs.com.